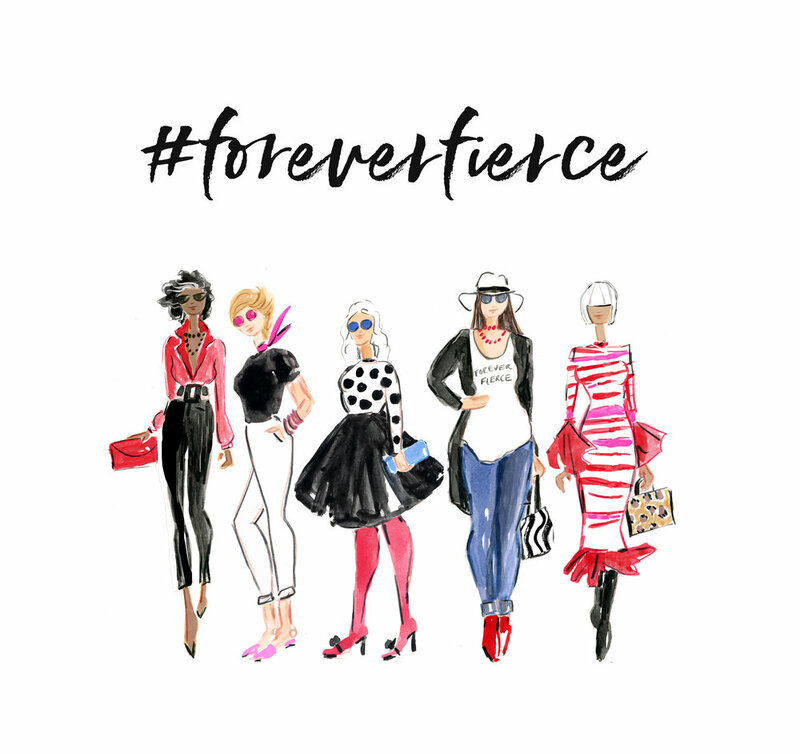 Forever Fierce Day - What does it Mean to be Fierce at Midlife? 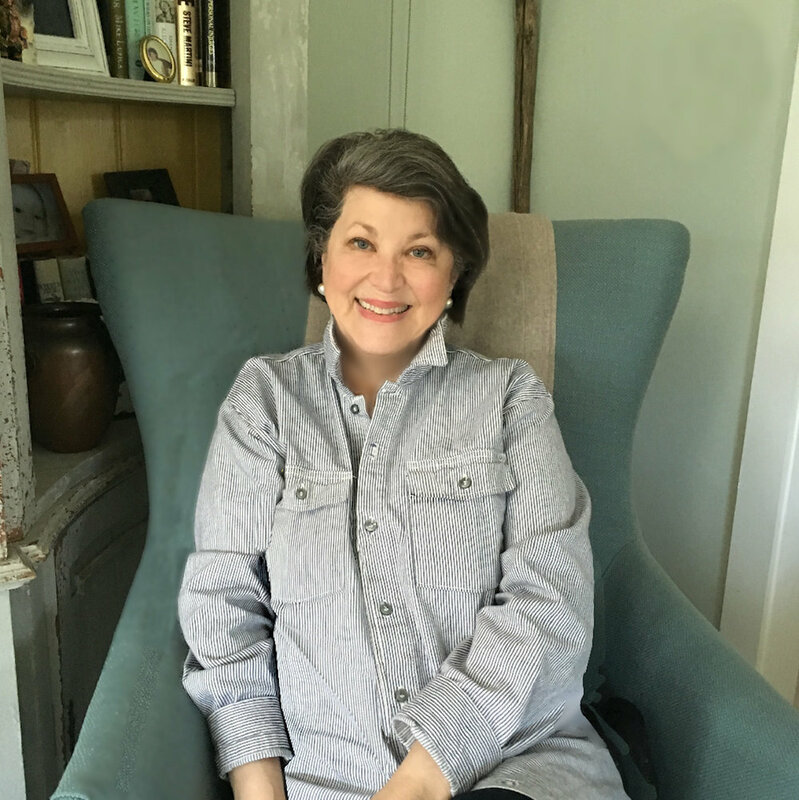 It was just one year ago, that Catherine Grace O'Connell along with myself and 50 other bloggers began a campaign called the Fierce 50. At that time, I introduced you to my Fierce Friend, Elaine. Since this time, our group has continued to grow with over 4600 members. 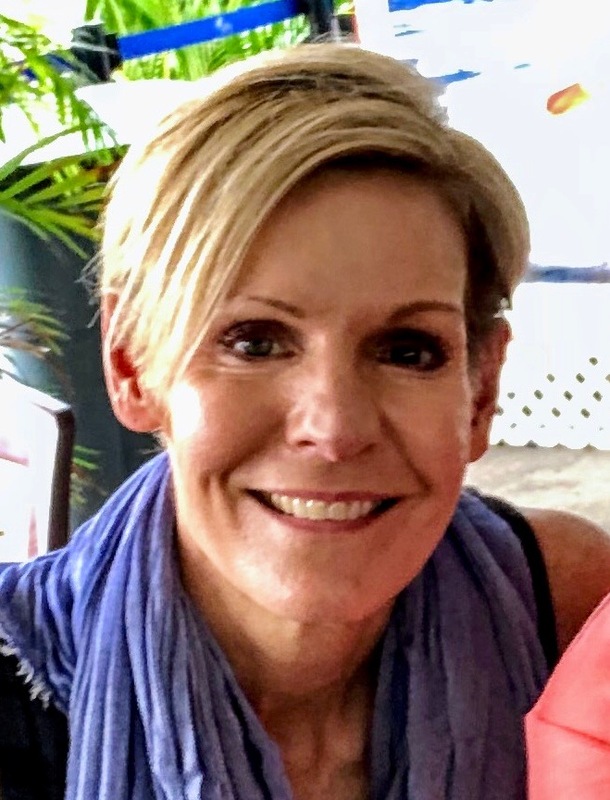 When Catherine started the Fierce 50, it started out as a push to make retailers realize that being 50 does not mean you shouldn't market clothing to us, that has since expanded to the fact that women in midlife have an important story. As a member of Forever Fierce, we want women at any stage of their life to be empowered and feel great about themselves. The second campaign this fall was to have midlife bloggers pair up with millennial bloggers to help us realize that age is truly just a number. That's when I introduced you to Miranda . And now, we would love to hear from every midlife woman. Whether you are reinventing or simply perfecting while trying new experiences, careers, fashion, travel, etc., our hope is to show that the midlife woman is cool. As we embark on this new journey together, join us in supporting each other. If your interested, we would love for you to join us in the Facebook group where we talk about issues, ask questions and share our experiences. For this year's Forever Fierce campaign, I am one of 50 bloggers chosen because we embody the spirit of supporting and helping one another. We are serving the community by having our post act as a platform to share other women's voices. We truly believe it's not just about us, but there is strength in numbers. A blog is really a means of creative self-expression and each of us is excited to use this platform to share the powerful voices of these women. But let's not stop here. Ask your friends and family around you "what it means to be fierce at midlife?" Share their answers with the world by using the hashtags #foreverfierce and #foreverfierceday. I am so excited to introduce you to some incredible and amazing women from around the world that I have met through this group. Please read what it means to each of them to be Forever Fierce! Fierce in midlife means being my best self possible and having the confidence and courage to live out loud, while supporting others to do the same. Being fierce in midlife means I have a new confidence in myself and my ability to face difficult situations head on. It is finding the best version of myself, one that I love and respect. One that realizes the end of my 33 year marriage doesn’t mean I was a bad wife or unloveable. One that has no regrets after losing my precious 19 yr old daughter to mental illness 2 years ago. Being a mom that can take a terrible, tragic situation and with confidence and love make sure my daughter’s memory lives on by helping other families going through similar situations shows others I am fierce. Being able to give love and receive love again from a wonderful man instead of withdrawing and feeling sorry for myself is fierce. To put it in a simple sentence, It is the confidence that comes with knowing I am good enough and settling never will be, It is an attitude, it’s acceptance, compassion, confidence, love and a grateful heart. On February 26th I will turn 59 years old. 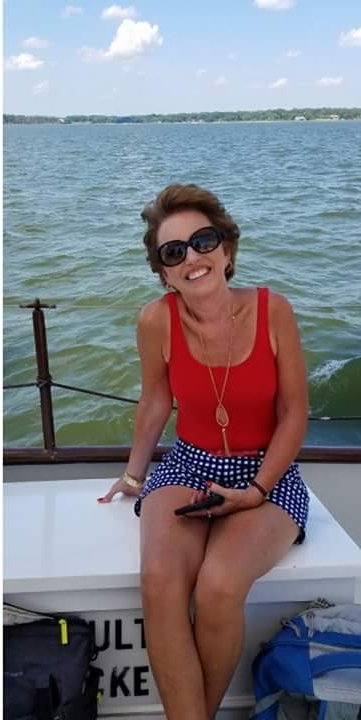 In my almost 60 years I have survived a less than happy childhood, and escaped with my infant and toddler an abusive marriage over 30 years ago. I went on to marry my husband of almost 25 years and we raised my two boys who are now remarkable men. I earned a Bachelor's and Master's Degree while working and raising a family. I retired from a career in Education but in my late 50's became the founder and CEO of an Educational Consulting and Advocacy business. Two years ago I began a weight loss journey and have lost and kept off 90 pounds. What fierce in midlife means to me is: don't look back on life with regret, rather take those life lessons that have been learned and use them to live each new day to the fullest! Life is all about choices, and as I have grown older and become more mature my motto is, " If you choose it, you can achieve it! If you choose to be FABULOUS AND FIERCE in midlife than you can achieve it! The best thing I can say at 68 is that I have consistently supported women through my life. Tho my mother was hardly supportive of me I had some great women who did support me and I wisely chose to be more like them. I write a series called “Inspiring Women” ( and men) that I post on FB and Linked In. I like to focus on people who have made a difference such as, Career changers , drivers of not for profits etc. Women undervalue other women and we have the power to change that. Up with women! The Definition of Fierce: 4 : wild or menacing in appearance I don’t think you have to be wild and crazy as far as style is concerned to be Fierce. I think Fierce is an attitude. Fierce is a confidence that many of us didn’t have in our younger days. Fierce can be making some life changes that don’t necessarily fit into your personal mold. For me, travelling is something I didn’t do prior to turning 45, but a new marriage to a wonderful man has changed that and I am doing and seeing things I never thought I would. Fierce is having a second chance and giving it all you’ve got. Fierce is a sense of humor about mid-life. Fierce is most definitely participating in a campaign about being Fierce, at least for this kid. I would never have done this 10 years ago. As a career woman who spent years in executive level human resources management positions, I can’t remember a time when I didn’t need to be fierce. To be successful, fierceness came with the territory as I built my career. So now that I’m retired, is it still necessary to be fierce? Absolutely! 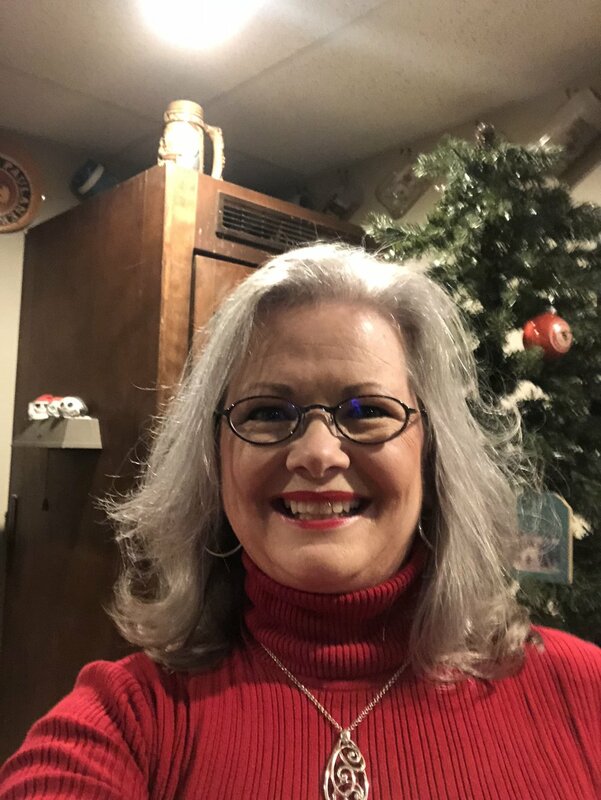 Today in my midlife retirement years, being fierce means embracing my new life - my time is my own; if I want, I can sleep in, travel, stay out late and go dancing, be with my grandkids, enjoy and openly live this new chapter of my life. Who cares if I don’t have workplace anecdotes to talk about? My life still has meaning. I also don’t worry so much about what people think nor do I need their approval. Life and this kind of fierce is DELICIOUS! Being fierce in midlife means that I have finally developed the courage to risk failure and start attempting things I always thought about but never considered I was capable of. I still experience fear and insecurities but I now live life out of my comfort zone - it's a great place to be. I work as a proofreader, so before I answered this question, I consulted Merriam-Webster dictionary to see if I remotely fit the definition of “fierce.” Violently hostile or aggressive. Not much. Given to fighting or killing. No! Unrestrained zeal. I don’t know about the “unrestrained” part, but having a zeal for making the most out of my life is something I strive for daily. Being fierce in my fifties means making certain I grab happiness when it’s looking me in the face. And dealing with the lows in life with a positive outlook, knowing that tomorrow is a new start. I definitely try to maintain a fierceness about being optimistic. I enjoy helping others and I’ve been volunteering at a residential facility for pregnant women and new moms and their babies. Making a priority to give more of my time is what I’m fierce about. If you agree and love hearing these women's voices and also want to move forward and and embrace this season of your life... I would love for you to join me! I invite you to read about all the women's voices, featured by the other heart centered bloggers from our Forever Fierce Facebook group here. As always, thank you for reading and remember to always be Forever Fierce! !